Governments, schools, and businesses sometimes block websites in an attempt to reduce distractions, conserve bandwidth, or censor content. Most websites that block peoples access do it by blocking a specific IP address or range of Glossary Link IP addresses. Do you ever try to go to a website on a school computer, and the site is blocked? If you need to access a site that has been blocked – for whatever reason – there are a few methods you can use to unblock blocked those sites. But I must warn you that this information should not be a guarantee for you to visit websites that are high of explicit nature. Knowledge is power, but just because you have power does not mean you should be a freak! That said. Please handle and use this information with care. To unblock blocked sites, social networks or blogs use the following tricks. A very effective way of unblocking blocked sites, social networks or blogs is by using a proxy site that will help serve as a bridge to the blocked site. What a proxy site does is that it hides your own IP address and provide you with another IP. This will not only give you access to the blocked sites, it helps to hide your identity. When you are on a network, you cannot be tracked real time because the proxy site will give you a false IP address. To understand me better, visit the website, www.whatsmyip.org you will see your IP address. On the left sidebar, click on More Information About You. This will give you detail information about your connection and also your location. Use IP Address Instead of Website URL. Every website on the internet has a URL (Uniform Resource Locator). Think of a website URL as the name of the website without which you cannot access that website. Network Administrators knows better than anyone that you cannot access any website without the URL, so what they do is that they block certain websites URL. For example, a network administrator can block you from accessing Facebook. Whenever you type in www.facebook.com, you will be redirected to a different site like google.com. But you can try and take a step ahead of them. 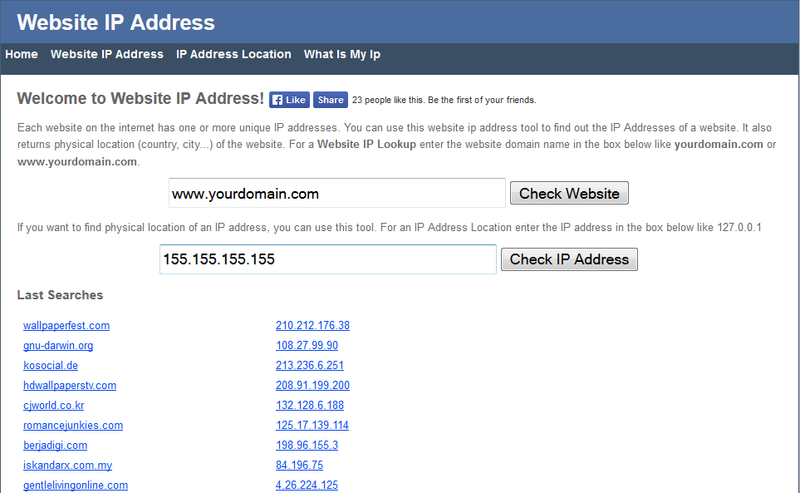 What if you use a direct IP address of the website you want to visit? You can swap the web address of any website with its equivalent IP address. The normal web address you always use can be converted to numbers. For example, www.google.com may be something like 74.125.224.46. When you look at the numbers above, you will immediately realize that it is virtually impossible for you to know the whole IP address for each website. But you don’t have to bother about yourself about that… To get the IP address of any website, go to http://websiteipaddress.com/. Enter the web address of the website you want to visit and click on Check Website button. Some network administrators use the full URL of a website to block it. When you type, www.youtube.com, the website will not open. It might even redirect you to another website like google.com. URL shortening can save the day for you. You can shorten the URL of the website you want to visit using popular and reliable URL shortening websites like goo.gl or tiny.cc. Once you shorten the URL, you can use it to visit the website which will redirect you to the site when you paste the link on the address bar of your web browser and hit enter. Example of how to shorten a URL is shown below. Go to tiny.cc and paste the URL of any website you want to visit. Click on the Tiny button. You will get the short version of your URL. Paste it on the address bar of your browser and hit the enter button. You will soon be redirected to the main website. You can also choose to name your URL by giving it a custom name. You can access a website that has been blocked by using a proxy site, an IP Address, and URL shortening. So what’s your take on this. Which one of them was able to work for you?